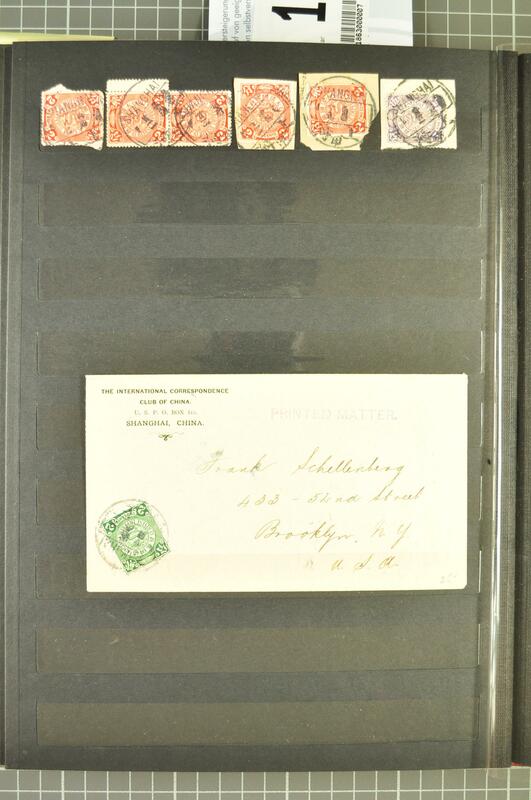 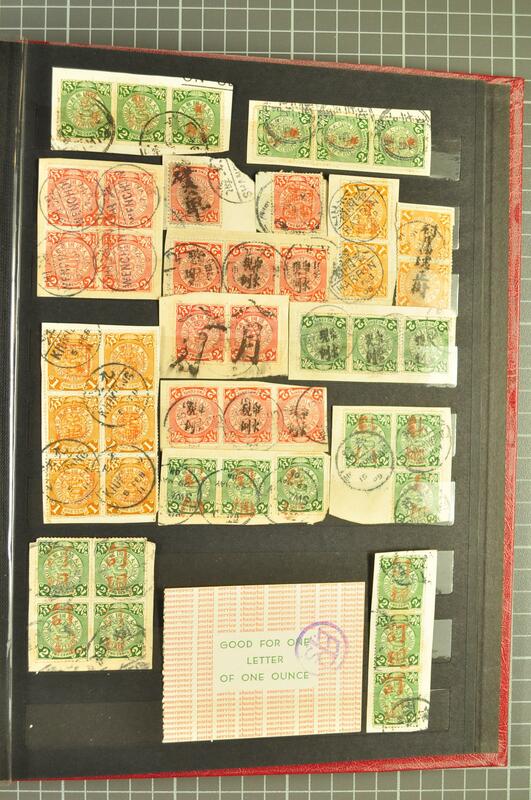 1898/1906: Coiling Dragons, the stockbook with many hundreds of examples with many on piece, collected by cancellation with astonishing range of bilingial types incl. 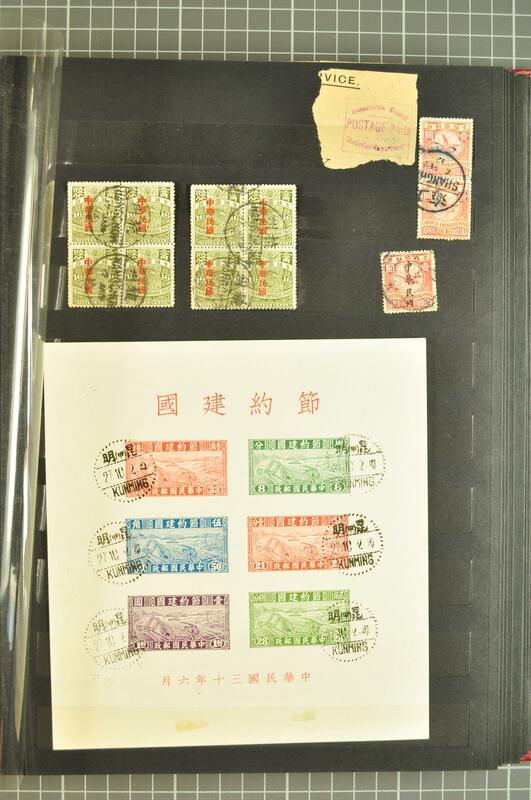 Antung, Chinhai, Kongmoon, Mengtsz, Pakhoi, Peitaiho, Samshui, Santuao, Shasi, Szemao, Tatung, Teng Yueh, Yochow etc. 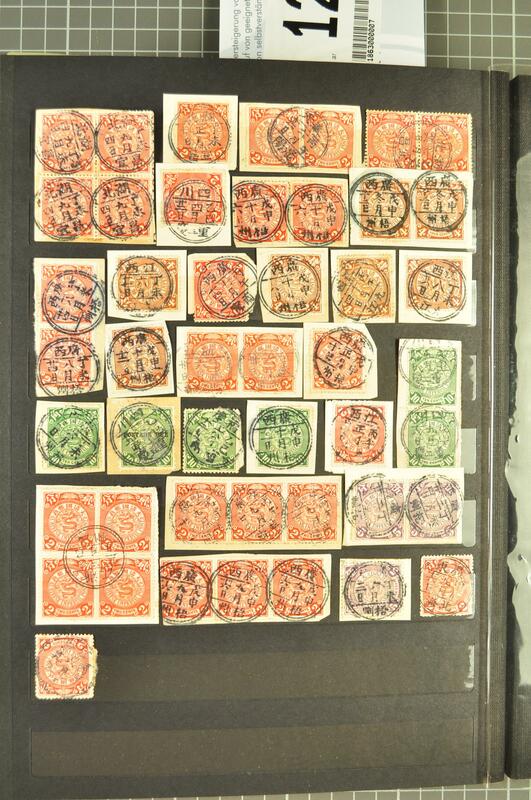 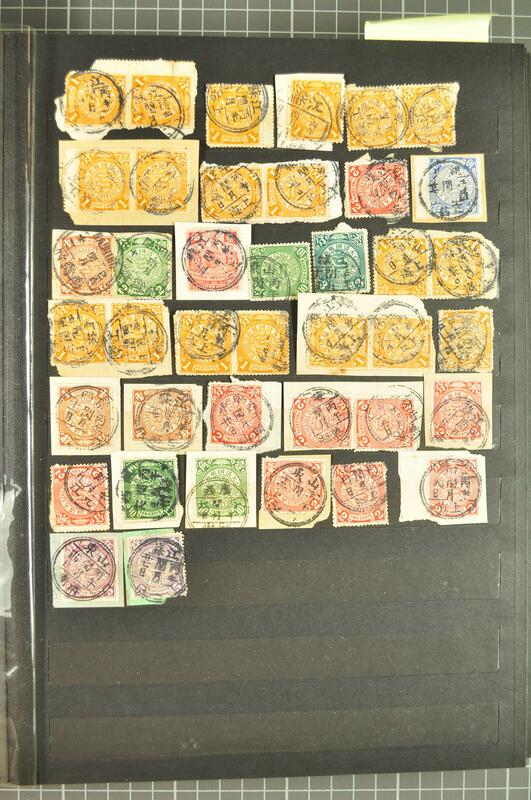 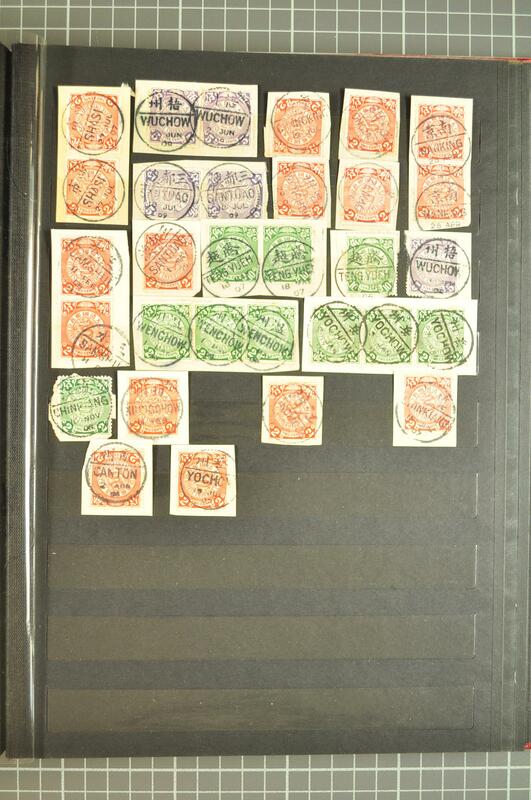 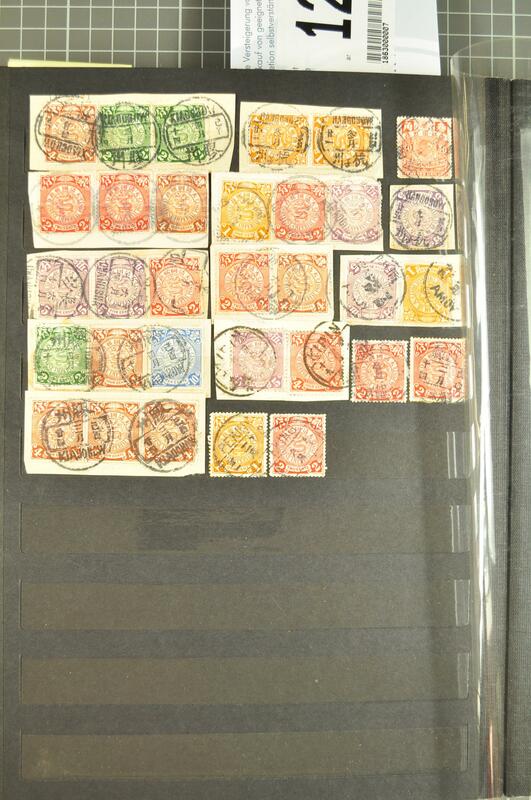 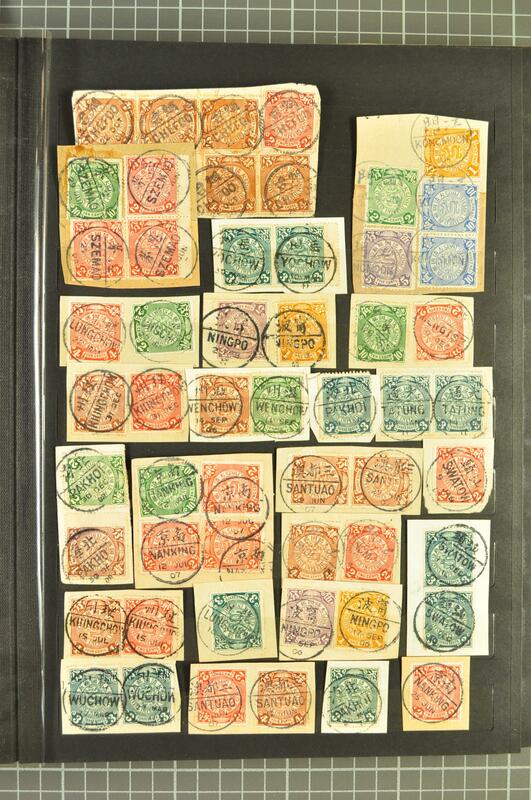 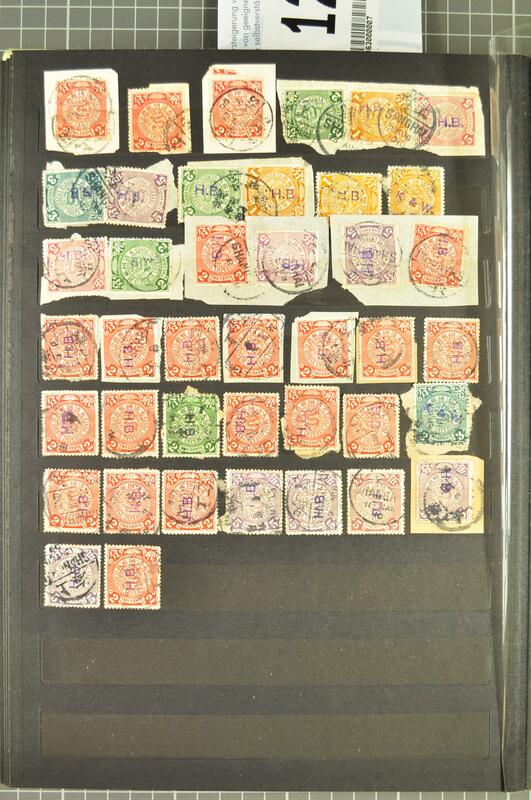 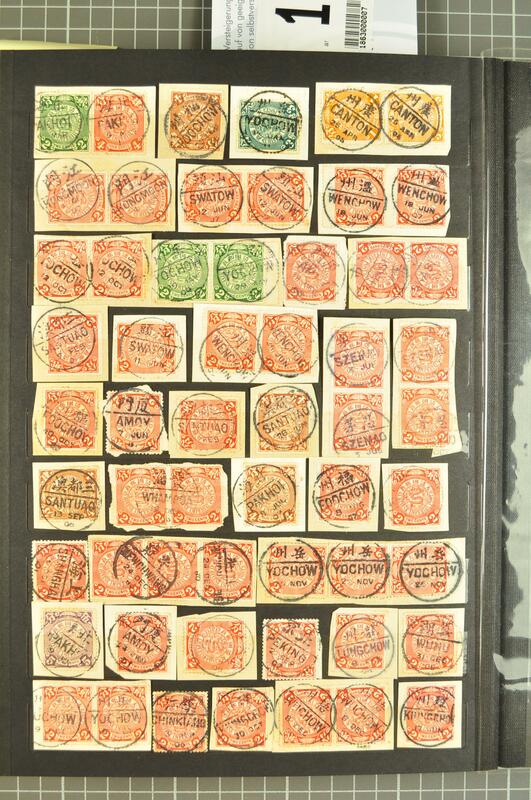 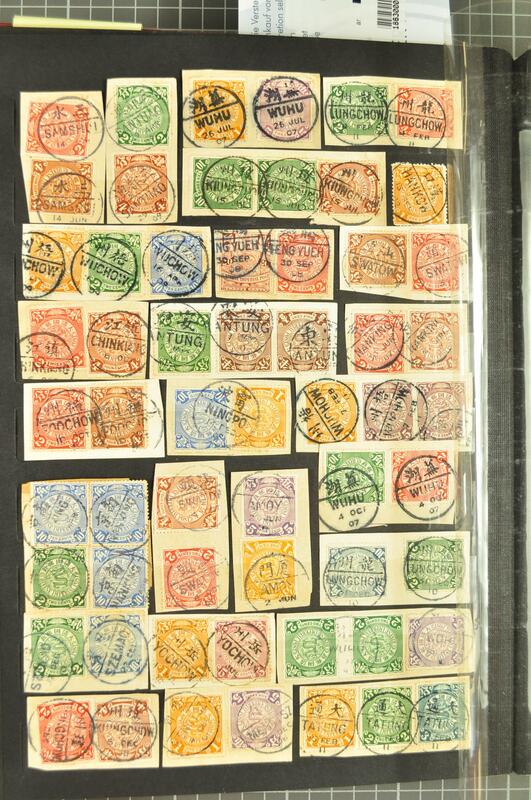 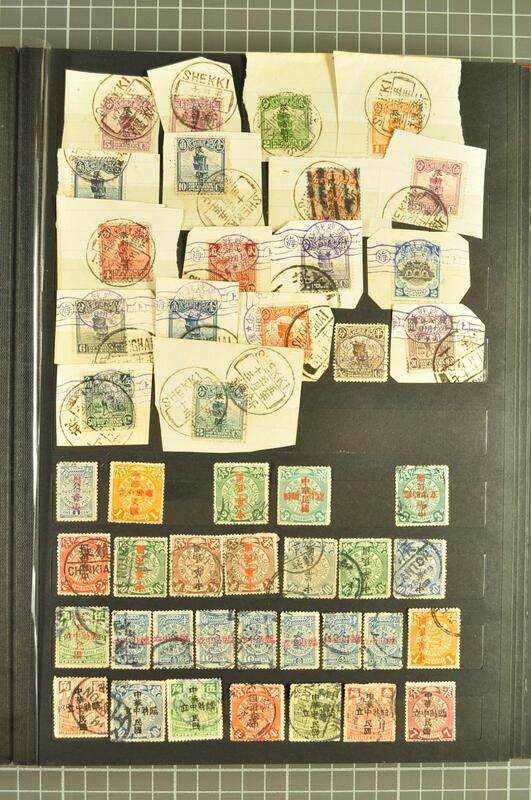 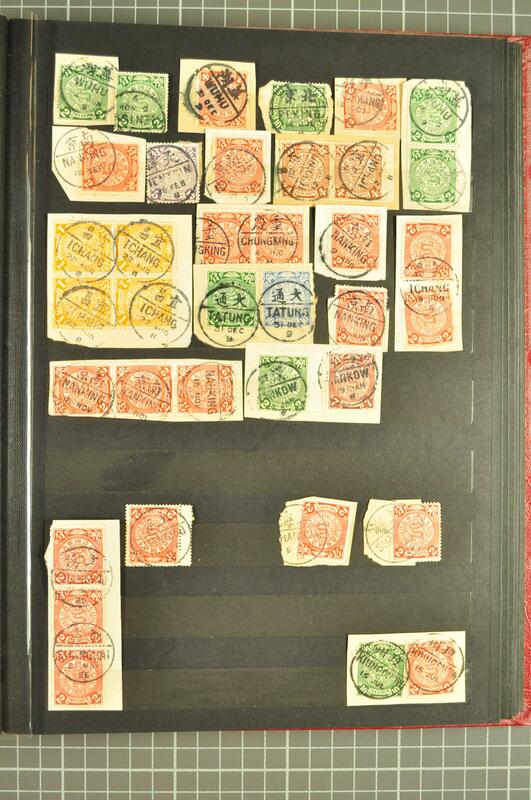 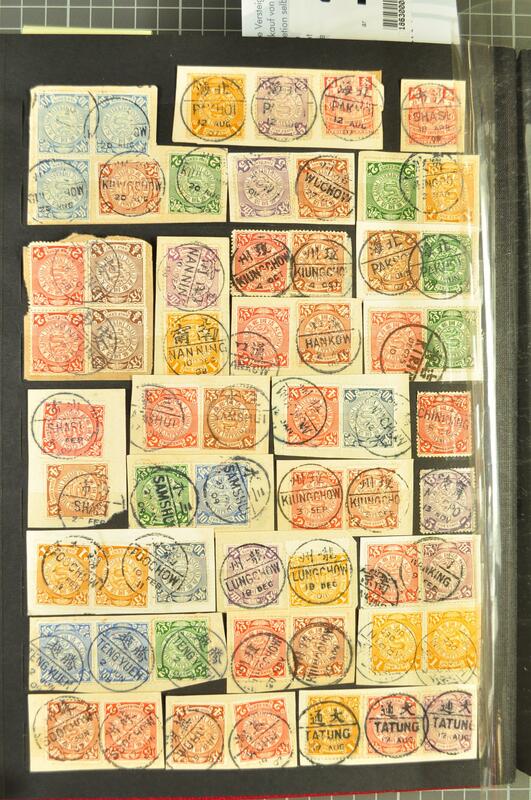 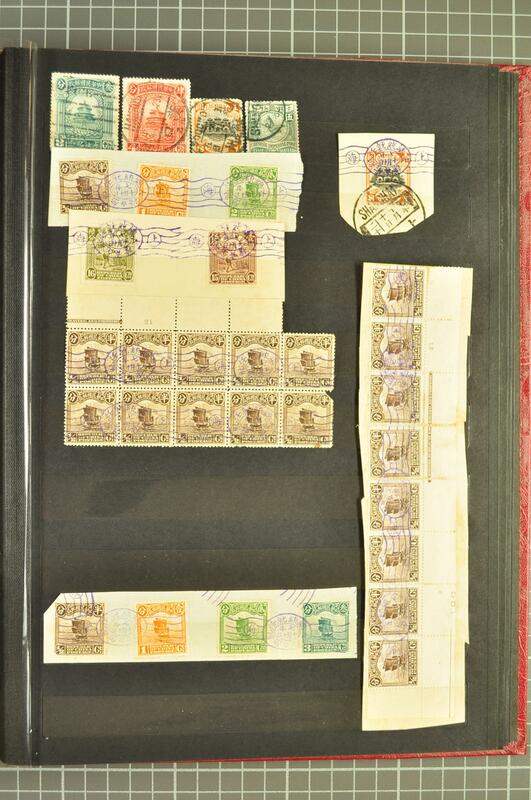 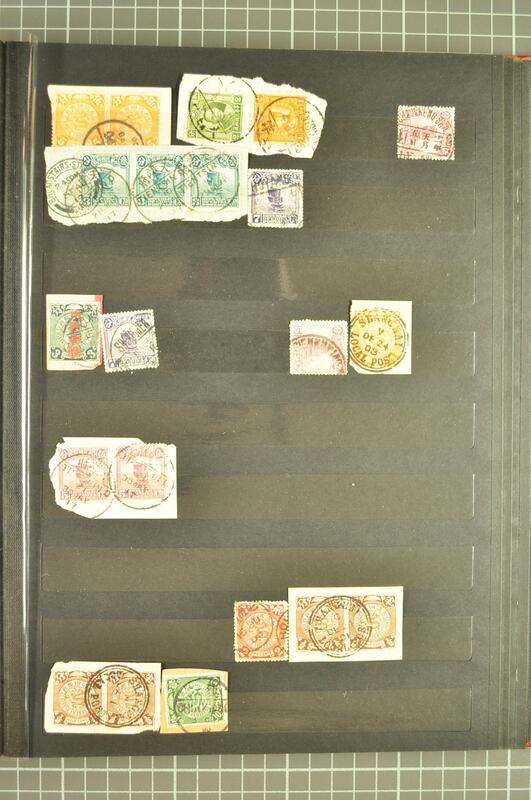 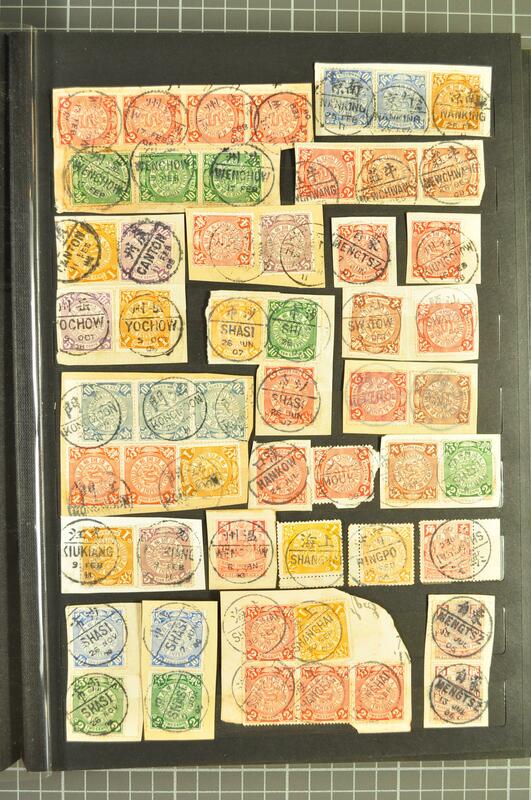 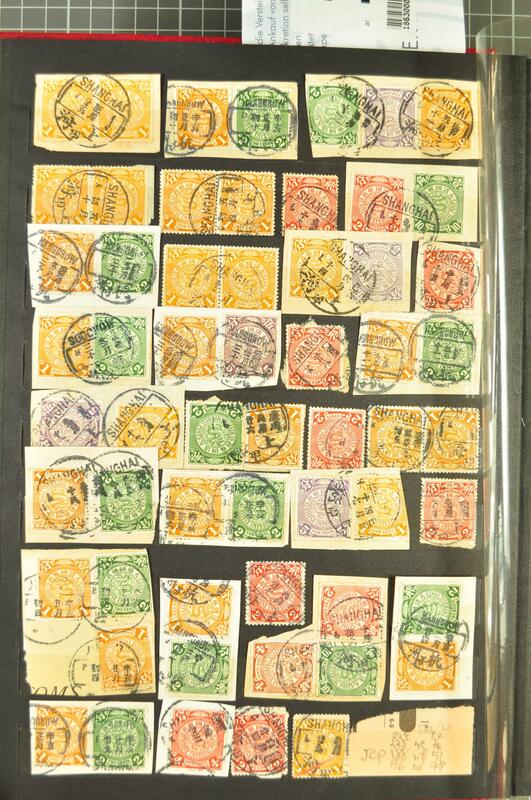 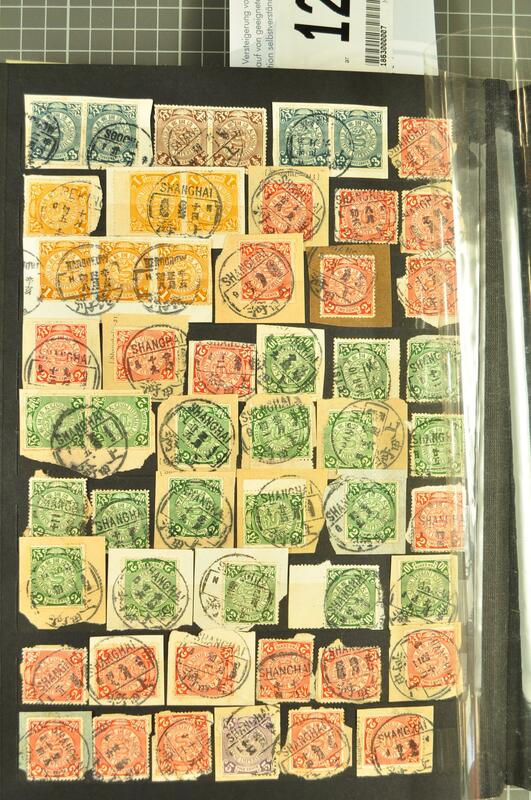 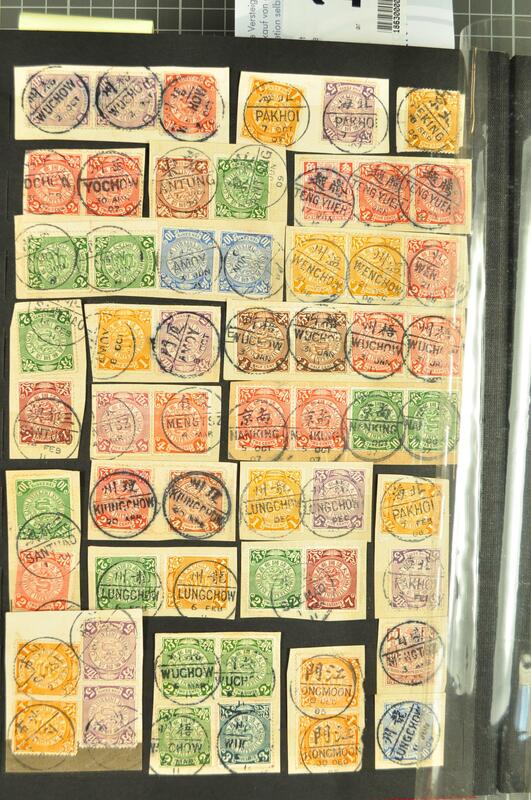 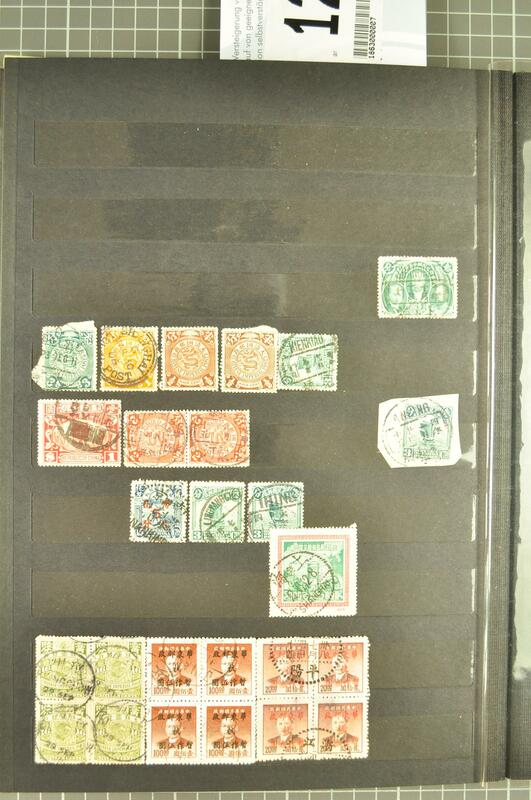 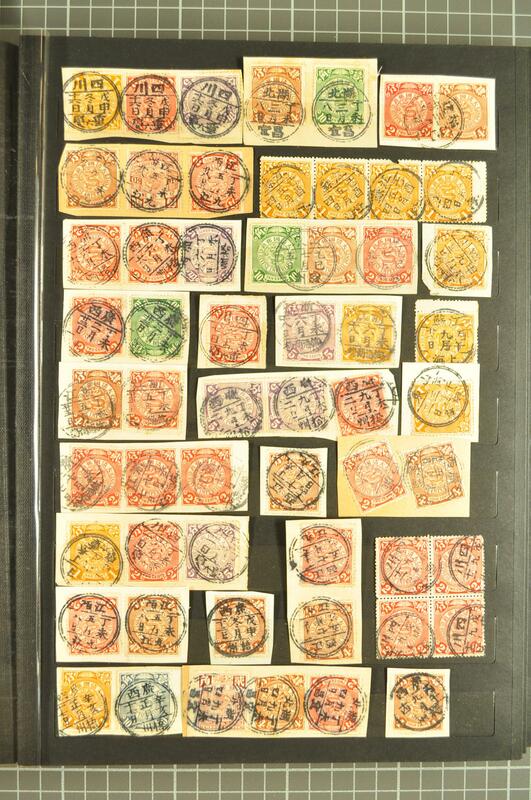 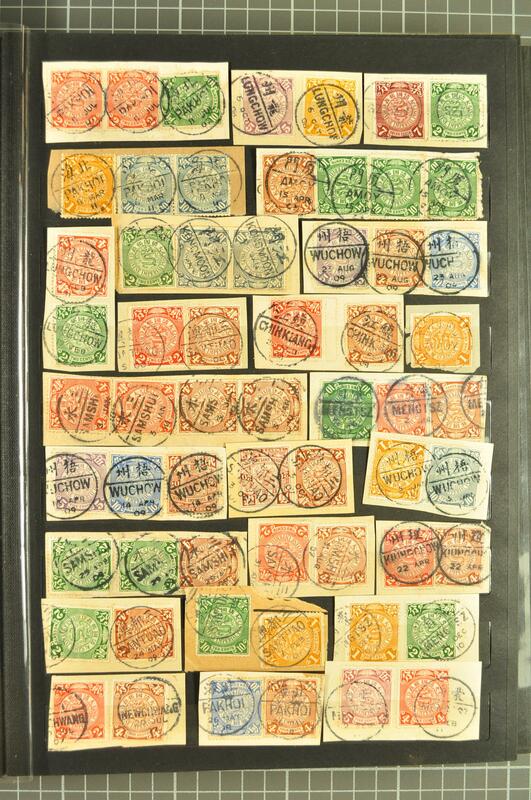 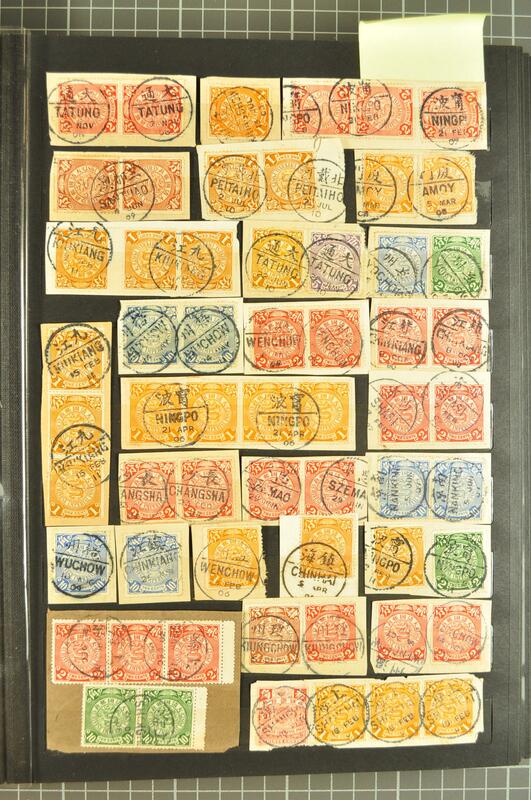 together with the slightly more common Treaty Post towns, small section of 'perfin' examples and range of the issue with Private Chops applied prior to posting, a superb selection in generally exceptional quality.